Dr. John S. Paffrath entered a no-contest plea to three counts of unlawful dispensing of a controlled substance on Monday in Humphreys County Circuit Court. 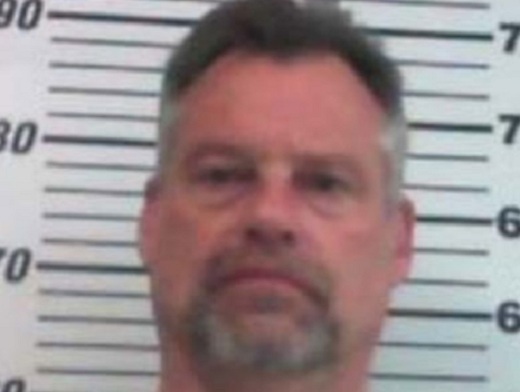 Paffrath, 56, of 71 East Market St., Erin, was indicted on the charges on March 5, as the result of a Tennessee Bureau of Investigation case that began in June of 2011. He worked as a dentist at the Hillcrest Dental Clinic on East Main Street in Erin. Assistant District Attorney Sarah Wojnarowski said because the no-contest plea is a conditional guilty plea, in which Paffrath declines to dispute the charges, the state could not question him about the case. As part of his plea, Paffrath asked the court to grant him a judicial diversion, which means if he qualifies and meets all the conditions of his sentence, his criminal record could be expunged. Judge Larry Wallace, of the 23rd Judicial District, sentenced Paffrath to 30 months of supervised probation, a $6,000 fine and court costs, and his Drug Enforcement Administration license to prescribe drugs would be revoked and his general license to practice dentistry would be suspended for 18 month. “It will be up to the state if he gets his general practice license back, but he will never get the DEA license back,” Wojarowski said. Police are now investigating what's been happening with Medicaid dentistry in southeast Dallas. Over a period of six months, six children each said they were paid $10 to get into an unmarked vans, taken to a southeast Dallas dental clinic called All About Dentistry, and drilled without their parents' permission. The focus of this "recruiting" is a convenience store on St. Augustine, near a school bus stop where kids hang out during the summer and after school. There, the kids say, they were approached by a recruiter from All About Dentistry. Keke Gray, 17, took the $10 offer and was driven to the clinic in July. She said she was one of many. "I had some friends who went to the convenience store before," she said. "And they picked them up at the store and went up there [to the clinic] and they got the ten dollars." The clinic admits it employs recruiters to bring in new Medicaid patients, but will not reveal how much it pays for each new patient a recruiter brings in. Gray already had braces on her teeth from another dentist when she said she was solicited by an All About Dentistry recruiter and taken to the clinic. Once there, she said, she was given gas, an injection, and then seven fillings in her teeth. She said the receptionist at the clinic seemed to want to keep the Medicaid dental work a secret from Keke's parents. Children who reported having recent tooth pain were four times more likely to have a low grade point average -- below the median GPA of 2.8 -- when compared to children without oral pain, according to study results.